The WordPress REST API has been the subject of much discussion and Jack Lennox’s talk at WordCamp London was a roaring success. Ryan’s presentation was excellent. The delivery was clear and concise and included just enough code to illustrate the points without confusing those who didn’t necessarily understand every last detail. He gave pertinent examples like Stripe, Twitter and GitHub to illustrate the concept of the APIs and urged the audience to install and test Version 1 of the plugin which is currently in beta. Version 2 is designed for core as a featured plugin. He described use cases for the plugin, it’s current limits (no options and settings), discussed how to check for it, talked about authentication and OAuth (WordPress uses 1.0a because of ssl limitations). He also briefly showed how to extend it by turning hooks into a REST endpoints and encouraged developers to version their APIs from day one by using a unique slug and version number. After another exceptional lunch Adam Silverman led the charge with with Put a Little Backbone in Your WordPress! in another packed room that ended up to standing room only. He gave live examples of working applications using Backbone Views to display theme content. He urged participants to simply use Backbone.js which is well documented and commented and to start with Views if nothing else. Directly after Tony Kovanen spoke of Making WordPress Real-time and gave examples of using node to run real time WordPress, again bravely including live demos in which posts were updated in real time. He suggested Web sockets (has Compatibility limits) and Socket.IO the library of choice to deal with these limits. An unexpected gem was to be found in the three lightening talks spoke of the advantages and disadvantages of https and tools and tips when converting a site. Eric Mann gave a fabulous talk about Sandboxing your Development Environment with Vagrant (a subject near and dear to me.) And Daniel Pataki gave a talk on Prototyping with WordPress. I would have loved to have seen Jan Thiel’s Empowering WordPress with HTTPS but I was in the pool at the time. As far as I know the concept of short talks were new this year and were a great idea because they were just long enough to explain a subject and draw enthusiasm for it which is something that WordCamp conferences excel in without having to decide how much detail is best suited for the audience. The day was summed up with a talk by Juliette Reinders Folmer and Wouter Groenewold entitled DiversITy Matters which could not have been better timed given that the U.S. Supreme Court had just ruled to allow gay marriage in the United States. While WordPress may be more diverse than other areas in tech, it still has a long way to go and the argument for a diverse is strong. Studies show that more diverse teams have better productivity and profitability but whether companies decide to change there hiring policies is anyone’s guess. It might be as likely as hosting companies adopting PHP 7. The after party was held at Puerto de Cuba night club and while there were some slight injuries due to the heat but everyone seemed to have survived. 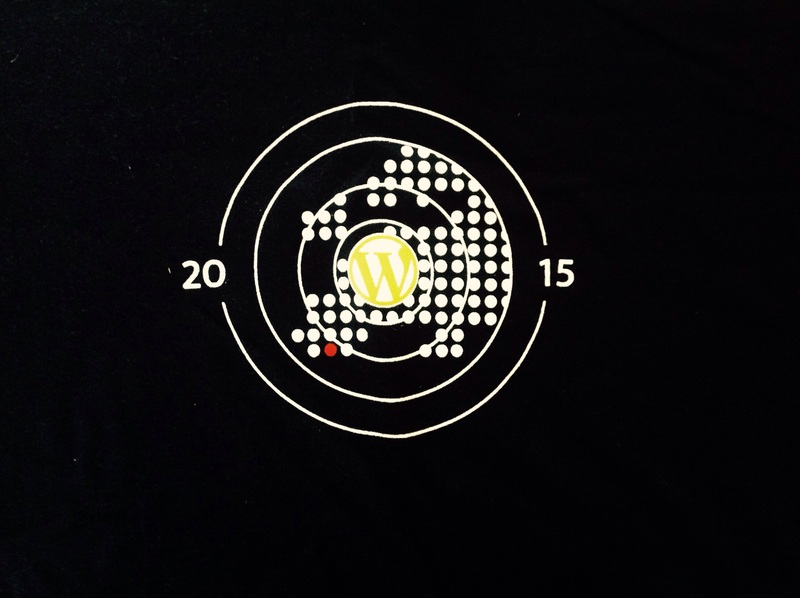 The announcement was made that the next WordCamp would take place in Vienna Austria this time next year. A couple things came up unofficially and were discussed on Twitter, most notably the surprising imbalance between the number of American speakers and European ones. As someone who has given in a presentation in a language not my own I can understand the reluctance to present in English for those for whom it is not a native language. I don’t know whether there the ratio of Europeans to American who submitted proposals was maintained on the selection but I do wonder about it, especially considering WordCamps policy for local presenters. Having the WordCamps in English could be part of the problem but I’m sure budgetary concerns for translation were part of the consideration. I actually found this to be less of an issue this year compare to Sofia where there were many more familiar faces and members of the core team. Personally, I appreciate having some more polished speakers even if they are imported so to speak. I think European WordCamps have a ways to go before there are significant numbers of speakers with both the professional polish required to speak to a large and demanding audience and a level of English that makes this realistic. I wonder about alternatives such as having had some of the presentations in Spanish with simultaneous English translation. I am very much hoping that France will be considered for 2018 and I feel that it would be a pity if certain people weren’t able to speak simply because of their level of English. As with the previous article you will have to pardon me for not discussing each presentation in detail. My head was bursting at the end of this second day and it will likely take me another few weeks of experimenting to fully assimilate the information I have learned. As always feel free to correct any misinformation in the comments.